Where have all the heroes gone, is a question I asked myself this morning. Perhaps they are in the everyday survivors we see. The cancer survivor, the family surviving from drowning in financial debt, the teen that met the ear to hear their cries of desperation, the dog or cat whose eyes pierced the heart of a child while awaiting adoption, the parent that finally finds a means to feed their family. These, are all everyday heroes. Of Canadian heroes you may think of Terry Fox, David Suzuki, Rick Hansen or even the many Olympians on their personal journey. Being here in Canada we so seldom feel the personal loss of the heroes that continue to stand up for freedom in the middle east and beyond. A hero is someone that finds their purpose and goes after it! The stirring within them gives them cause to continually move. As we returned from participating in a heroes welcome home last night for Lincoln Alexander, myself and my children shared our experiences and knowledge of this great Hamiltonian. I was a little disappointed that my 13 year olds class had yet to discuss this current happening. 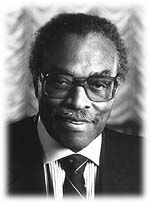 We have a inner city thoroughfare named after him and the elementary children at Lincoln Alexander school surely know well of him. We stood on a bridge last night, over “The Linc” with many others awaiting the return of Linc, home to rest. What myself and my other daughter recalled of this great man was that other than being our country’s first black member of the House of Commons and the former lieutenant-governor of Ontario along with many more honors and titles, there was an “air” to him. You know when your in the presence of greatness by how someone speaks. He had a calming, determination and sense of purpose to his actions and words. He had the ability to stand and speak to politicians yet able to kneel down and bring a smile to a child. In recently reading “The Slight Edge“, the author Jeff Olson shared his thoughts on what he learned from funerals. The book talks about what successful people do. They do what unsuccessful people don’t. He shares an article he read that claimed that at the average funeral, only 10 people cry. “Facing some truths about ones own death can also bring one face to face with some important truths about ones life”. He goes on to sharing, ” Who has long funeral processions? At whose funeral do thousands cry? For whom do millions mourn? For those who will do what others are not willing to do. For the people for whom we erect statues”. Gigantic funerals are held and great crowds come, sometimes entire nations, mourn for those people who spent their lives not worrying about what others thought”. Now, go on, create a great day.